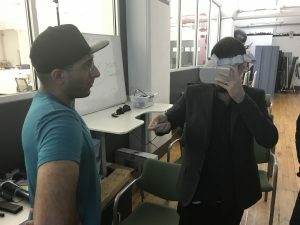 The power of virtual reality (VR) platforms is now fully realized in the explosion of creative content that is being delivered to headsets, PCs and smartphones every day. 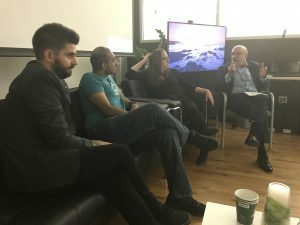 The producers who are delivering new experiences for VR comprise a profile that is part-pioneer, part inventor, and all storyteller. 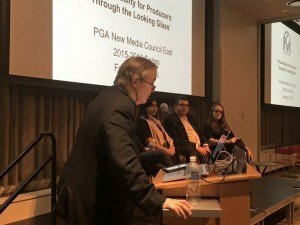 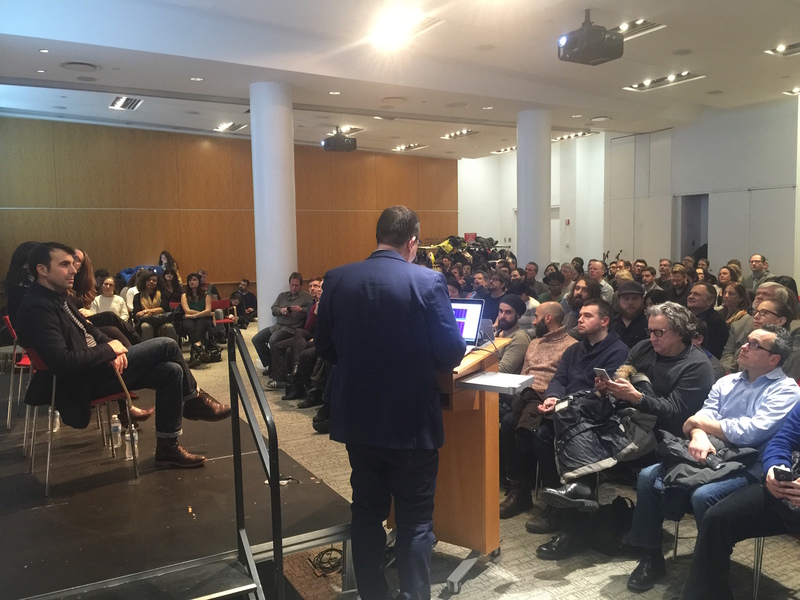 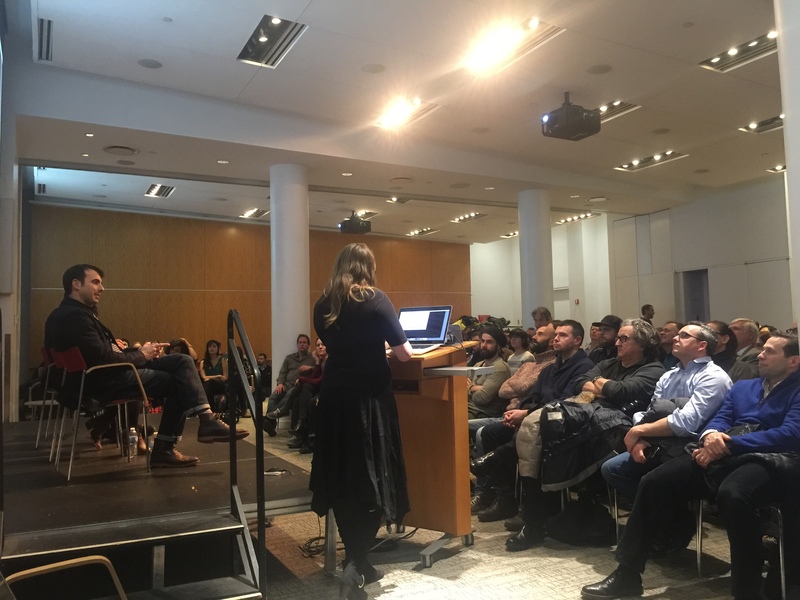 This encapsulates the panel that was convened at The New School’s Lang Auditorium on Tuesday, February 9th, as part of the Producers Guild of America (PGA) New Media Council (NMC) East salon series. 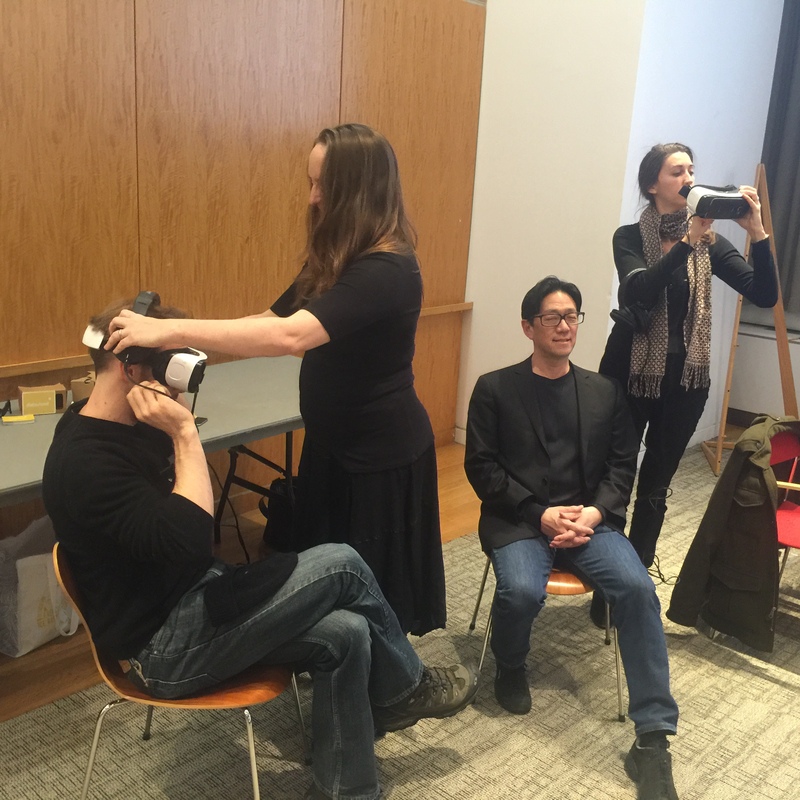 With the recent introduction of the $99.00 Samsung Gear VR headset, the announcement of the Oculus Rift CV-1 headset, and the innovative apps that are powered by low-cost (as low as $10) VR glasses and Google Cardboard, VR is creating a new market for production companies. 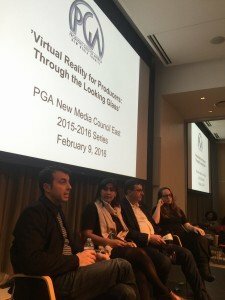 With customized camera rigs, stereoscopic lenses, and streaming applications, producers are creating new experiences for brands (Tommy Hilfiger); news organizations (Associated Press, CNN, The New York Times), and media companies (HBO; 21st Century FOX, NBA), as audiences prepare to dive into content in ways not felt, or seen, before. 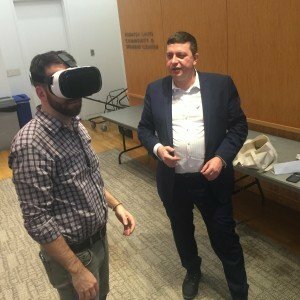 The Consumer Technology Association (CTA) estimates that 1.2 million VR headsets will be sold in the US in 2016, and estimates that, by 2020, the overall VR market will be somewhere between $50-150 billion. As VR content moves onto mobile devices and cost-effective headsets at an increasing pace, producers will be in greater demand for new forms of immersive storytelling. Produced and moderated by Chris Pfaff, one of the founders of the PGA New Media Council, and a former national delegate to the PGA NMC board; former delegate to the PGA National Board of Directors, and head of consultancy Chris Pfaff Tech Media LLC, the panel featured Caitlin Burns, COO of datavized, a VR production company that has developed new forms of WebVR content; Shazna Nessa, director of journalism for the John S. and James L. Knight Foundation; Marco Ricci, director of EdgeDNA, and Dennis Adamo, COO of daydream.io. 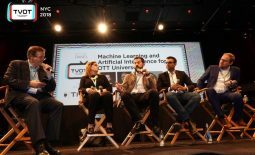 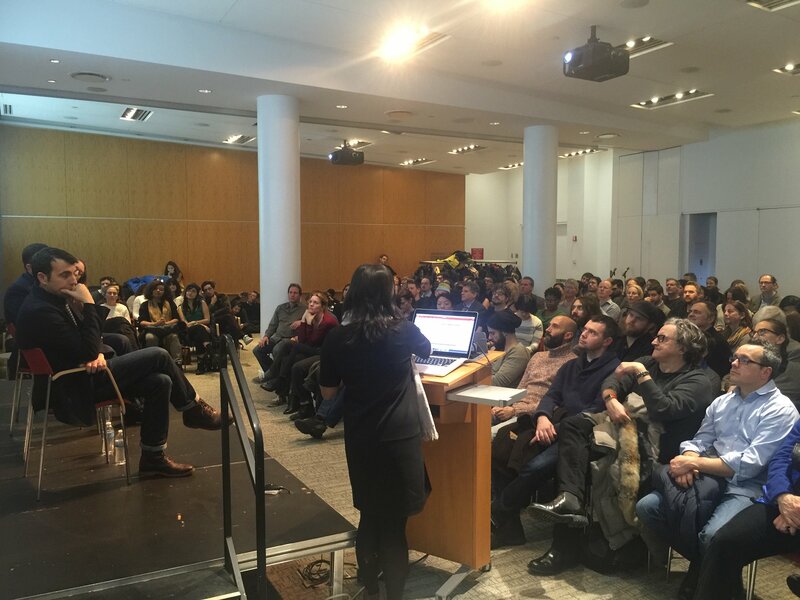 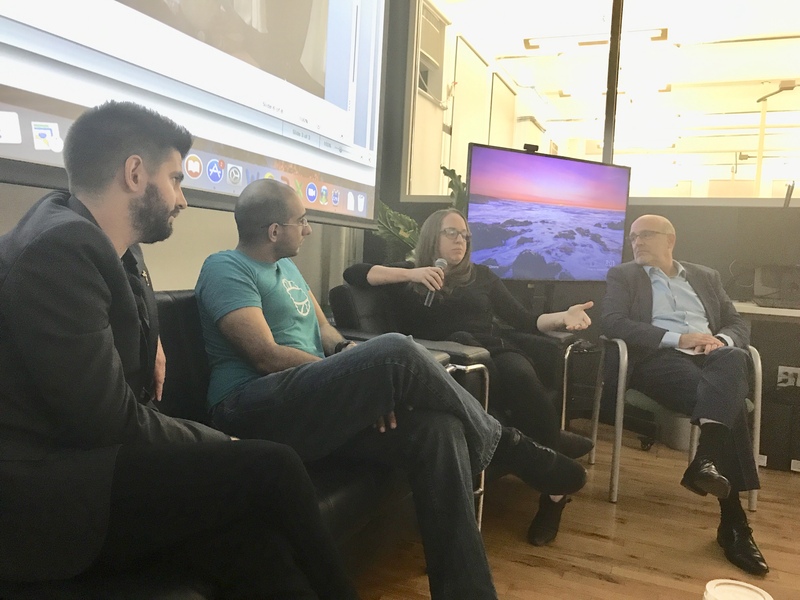 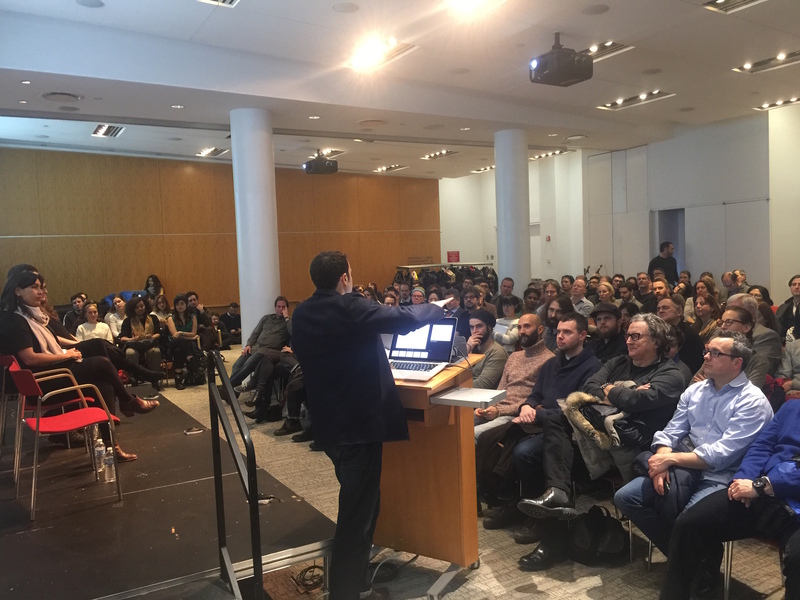 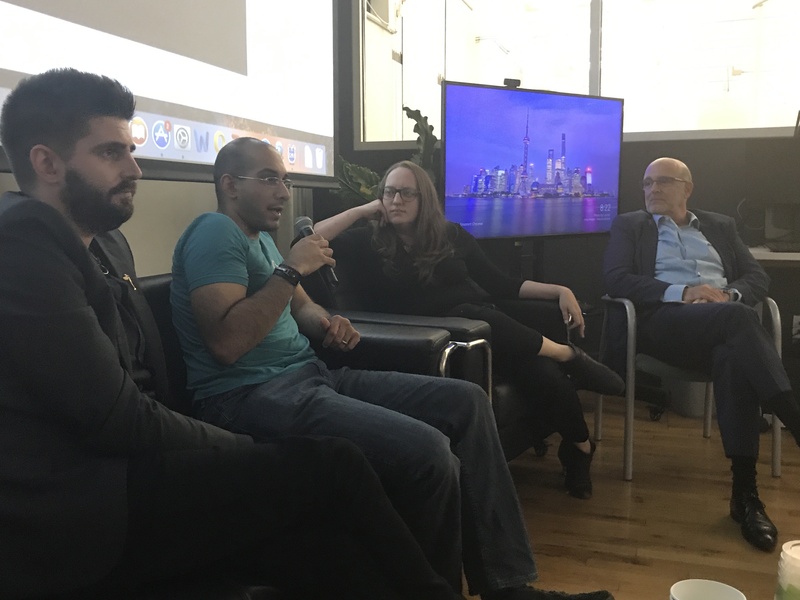 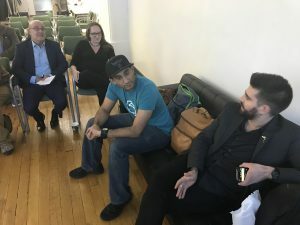 The event featured a packed house of more than 180 people, mostly PGA members and guests, as well as many stalwarts of the New York 3D, VR, and immersive industry. Demos were provided for the audience, pre-show, by datavized and daydream.io. 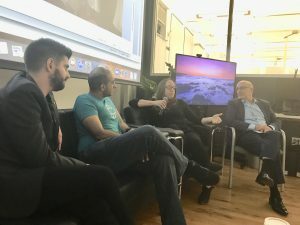 Caitlin Burns discussed the need for VR workflow and post-production protocols for VR, detailing how difficult it is to pull frames to conform to Samsung Gear VR headsets. Together with Prime Focus Technologies, she and her team have created what is one of the first VR post-production workflows in the industry. Dennis Adamo showcased daydream.io’s virtualizer technology, which renders individual user’s smartphones as VR engines for their own content. 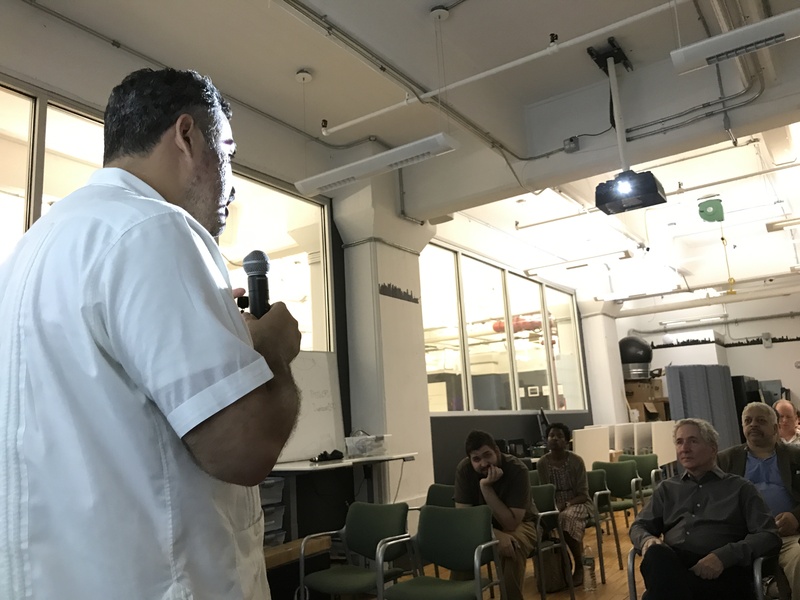 Marco Ricci gave what amounted to a tutorial on how to prepare for VR shoots, and what to expect from VR clients. 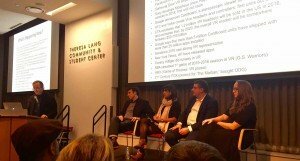 The proverbial “I want the world…for $5,000” conundrum was discussed amongst the panelists. 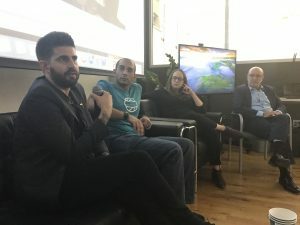 Shazna Nessa gave an in-depth look at how journalists are using VR, with an overview of how the Knight Foundation has nurtured storytelling from outlets that include the Des Moines Register, among others. 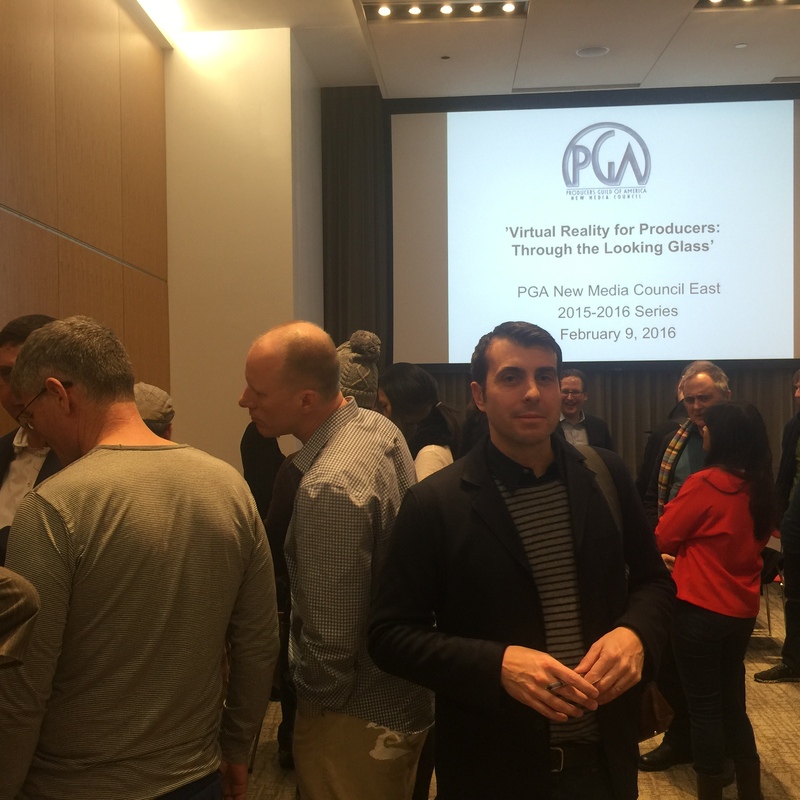 The Q&A session, always a staple of PGA NMC East events, included questions regarding the challenge of overcoming user nausea with VR; the New York State Start-Up New York program (from which daydream.io has benfitted), and the growth of New York VR production. The number of attendees who represent VR production companies, or are working on VR projects, comprised at least half of the audience. With the vast majority of media buyers; agencies; brands, and media outlets in New York, VR should reflect a New York attitude, if it doesn’t already.